Package kid. You threatened him to put him away if he didn't stop crying but he couldn't believe you. 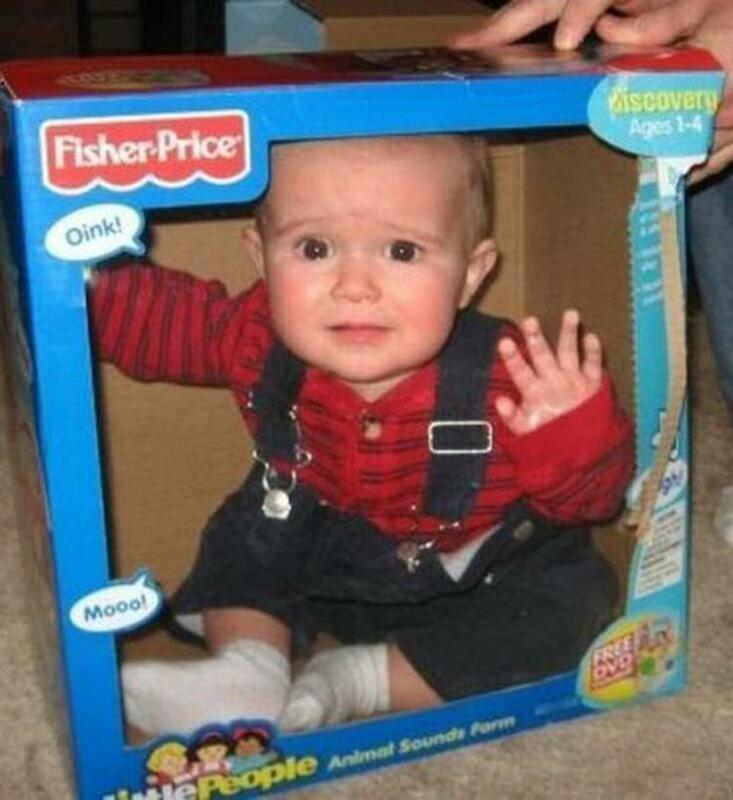 So you had to prove what you are made of by putting your kid inside of a box. So you weren't that good at English. These are the kind of things that could happen to you if you don't pay enough attention to your English lessons. Now, this little girl would have something to sue you in the future.